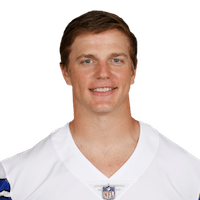 Published: Dec. 17, 2017 at 10:43 p.m.
Dallas Cowboys fake a punt and punter Chris Jones takes off for a 24-yard rush against the Oakland Raiders. Published: Nov. 30, 2017 at 09:02 p.m.
Washington Redskins wide receiver Jamison Crowder fumbles on this punt return and head coach Jay Gruden can't believe it. Published: Oct. 22, 2017 at 04:24 p.m.
Dallas Cowboys safety Xavier Woods recovers a fumble by San Francisco 49ers punt returner Trent Taylor. Published: Oct. 31, 2016 at 09:25 a.m.
Dallas Cowboys punter Chris Jones pulls off the fake punt on 4th down and scampers for a 30-yard first down.